The Austin Film Society honored native son Ethan Hawke with two events in February: a screening of Sidney Lumet's Before The Devil Knows You’re Dead and an Artist Spotlight conversation with his frequent collaborator, Boyhood and the Before trilogy director Richard Linklater. He’ll also attend the Austin Film Society’s 2016 Texas Film Awards on March 10 at Austin Studios. 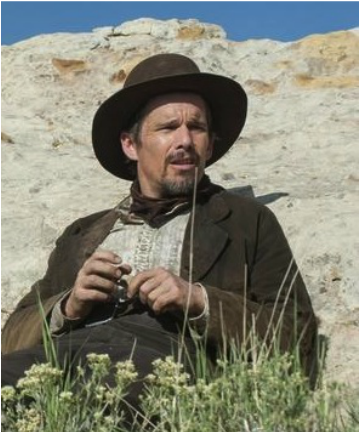 Ethan Hawke has two films in this year’s SXSW Film Festival: The Chet Baker bio Born to Be Blue and Ti West’s western In a Valley of Violence. Born to Be Blue will screen 9:30p.m. March 13 at the Topfer Theatre at Zach, 4 p.m. March 15 at the Stateside Theatre, and 2 p.m. March 18 at the Alamo South Lamar. In a Valley of Violence will screen 6:30 p.m. March 12 at the Stateside Theatre, 1:30 p.m. March 13 at the Topfer Theatre at ZACH, and 5 p.m. March 16 at the Marchesa Hall & Theatre. During this brief interview, Hawke discusses working with Austin Film Society founder Richard Linklater and his SXSW entries Born to Be Blue and In a Valley of Violence.